Most people think their pool might be a “fixed cost” when it comes to its electricity consumption, often assuming that, for hygienic reasons, they need to keep the pump going all day. However, as a general rule, cycling through your pool’s water once per day (one complete turnover of the volume of water in the pool) is considered sufficient. 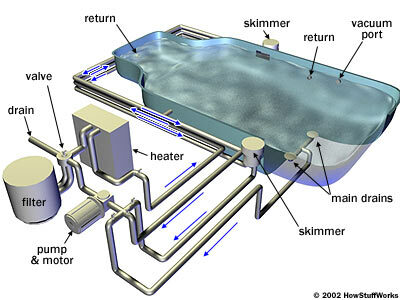 Thus, understanding how your pool pump and filter work is a great way to get started when it comes to saving energy and money around your home. Check out this graphic from MyConserve101. Thus, as the site notes, a pool with a 1.5 HP pump motor that’s on 12 hours a day uses 588 kWh per month. Here on Oahu, where I live, that’s $202.86 a month. Realistically, the pump could probably be reduced to pumping 4 hours a day, cutting that bill by 2/3rds. The California Swimming Pool Industry Energy Conservation Task Force recommends 4-5 hours of pump time during the summer and 2-3 hours of pump time during the winter (though recommending more if there is more pool use or if owners find that water clarity starts to become murky). Keep your drains clean and clear – The more debris that you have in your pools drains, the harder your pump and filter will have to work to move it through the system, thus using more energy. Clean them regularly to ensure your system is running efficiently. Consider installing a pool cover – Installing a pool cover will go a long way to saving you money and energy. Uncovered pools can loose up to 20,000 gallons a year through evaporation, but by installing a pool cover that number can be drastically reduced. After all, this isn’t just water that’s evaporated, it’s heated water which your pool system uses energy to create. 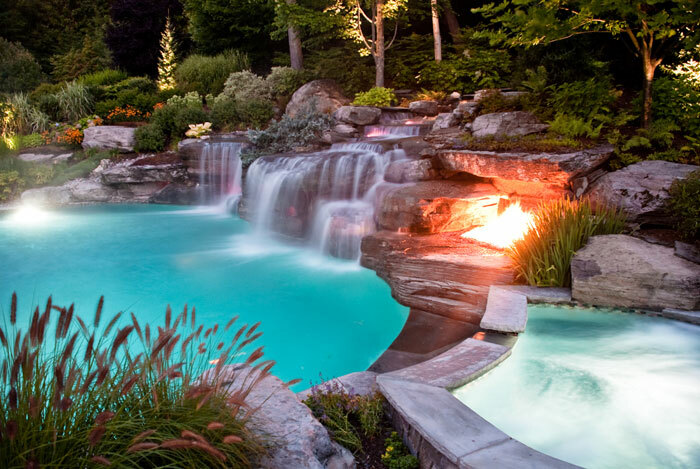 Reduce your pool’s pump time – Most pool pumps are actually running longer than they should be. Your pool pump should only be running for approximately 4-5 hrs a day in the summer, perhaps 3 in the winter (depending on the size of pool and pump’s horsepower of course), so if your pump is running longer, consider reducing the pump time. Inspect your pool’s filters – Over time your pool’s filters will become caked with grime and debris making them both less effective at filtering contaminants from your pool’s water, as well as making the pump work harder. Check them periodically and change them when needed. While not affecting the overall energy consumption, you can also reduce the cost of pumping by setting the pump timer to operate during non-peak consumption hours. Typically, if you set it to pump during the 10 PM to 5 AM time frame, you’ll get the cheapest rates per kWh from your local utility, if they use time-of-use pricing. If you’re looking for more ways to green your home and make it more energy and water efficient, check out some of our green home improvement projects: Green Living Ideas, after all, is a top 20 home improvement website!